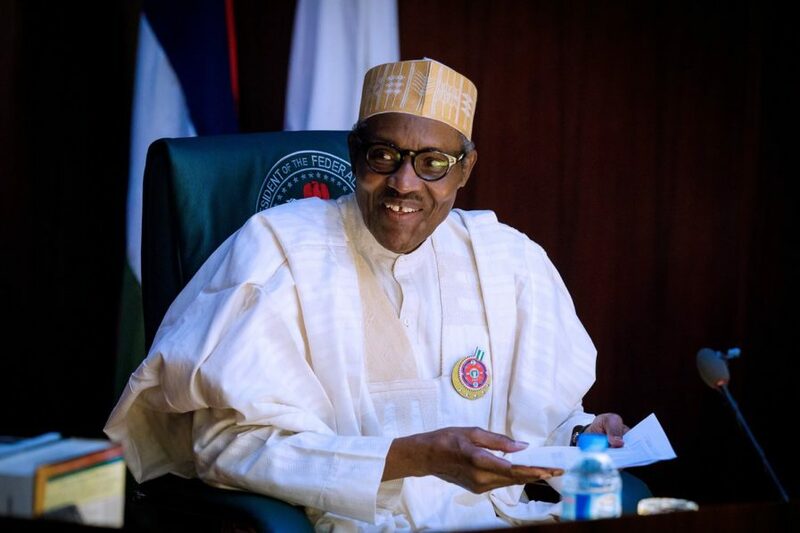 The presidency on Thursday said President Muhammadu Buhari’s promise that governance would not take the back seat in spite of his busy campaign schedules across Nigeria ahead of the presidential election was fulfilled. Femi Adesina, presidential spokesman, in a statement, listed the administration’s achievements in the last six months. The release reads: “Minimum Wage: January 9, 2019: President Buhari inaugurated the Presidential Technical Advisory Committee on the Implementation of the National Minimum Wage (PTAC), with a mandate to advise the Federal Government on how best to fund, in a sustained manner, the additional costs of implementing the imminent increase in the National Minimum Wage. The Committee, chaired by Mr. Bismarck Rewane, submitted its report on Monday, March 25, 2019. Also in January 2019, President Buhari submitted a National Minimum Wage Amendment Bill to the National Assembly for passage, following the approval of the National Council of State. The Bill is now awaiting presidential assent. Achieve cohesion in the revenue ecosystem (people and tools). The Steering Committee of the SRGI, with membership drawn from all the major revenue-generating agencies, held its inaugural meeting on February 12, 2019. January 25, 2019: President Buhari signed Executive Order 007 of 2019: The Road Infrastructure Development and Refurbishment Investment Tax Credit Scheme. Through this Scheme, companies that are willing and able to spend their own funds on constructing roads to their factories or farms, will recover their construction costs by paying reduced taxes, over a period of time. The Companies: Dangote Industries Limited; Lafarge Africa Plc; Unilever Nigeria Plc; Flour Mills of Nigeria Plc; Nigeria LNG Limited; and China Road and Bridge Corporation Nigeria Limited. s) Rehabilitation of Benin City – Asaba Road in Edo State. January 30, 2019: President Buhari assented to the new Federal Competition and Consumer Protection Act (FCCPA), Nigeria’s first unified and comprehensive Competition legislation. The new Act establishes the Federal Competition and Consumer Protection Commission (FCCPC), to replace the Consumer Protection Council. The goal of the FCCPA is to foster a business environment in which markets are competitive and the rights of consumers are protected. The functions of the FCCPC include the review and approval of mergers and acquisitions, to ensure that they do not have anti-competitive effects in the relevant market. February 8, 2019: President Buhari presided over the signing ceremony for a Partnership between the Nigeria Special Economic Zones Investment Company (NSEZCo) and Strategic Investment Partners. The ceremony also marked the full operationalization of the NSEZCo. Project MINE – Made In Nigeria For Exports is the Buhari Administration’s Special Economic Zones programme that seeks to boost manufacturing’s share of GDP to 20%, generating $30bn in annual export earnings; and creating 1.5 million new jobs, all by 2025. A new company, the Nigeria Special Economic Zones Investment Company (NSEZCo) has been incorporated as the delivery vehicle for Project-MINE. NSEZCo is a Public Private Partnership (PPP) jointly owned by Government of Nigeria (Ministry of Finance) and a group of Development Finance Institutions (DFIs), including the Africa Export Import Bank, Africa Development Bank, Africa Finance Corporation, Nigerian Sovereign Investment Authority. NSEZCo will mobilize public and private sector funding to develop world-class export-oriented industrial zones in Nigeria, offering advanced infrastructure and facilities at competitive costs. The projects in the pilot phase include Enyimba Economic City, Funtua Cotton Cluster and Lekki Model Industrial Park. Infrastructure upgrade work is also ongoing in the brownfield Calabar and Kano Free Trade Zones, for which the Federal Executive Council (FEC) has approved the award of contracts in excess of N19.45 billion. NSEZCo will be working with a range of local and international partners – anchor tenants, development advisers and consultants to deliver on this project. February 9, 2019: President Muhammadu Buhari commissioned the NSIA – LUTH advanced cancer treatment centre located in the Lagos University Teaching Hospital (LUTH), Idi-Araba, Lagos. Structured under a public-private partnership (PPP) arrangement between the Nigeria Sovereign Investment Authority, NSIA and the LUTH, the project is a US$11 million investment for the rehabilitation, equipping and operation of an existing cancer center co-located in LUTH, which will provide advanced radiotherapy and chemotherapy treatment services. The PPP is executed as a Build-Operate-Transfer (BOT). The NSIA owns the center 100% today and but full ownership is expected to revert to LUTH after 10 years of operations. The upgraded facility will run as a joint venture between NSIA Healthcare Development and Investment Company (“NHDIC”) and LUTH. The centre is the first of three projects with the other two, NSIA-AKTH (Kano) and NSIA-FMCU (Umuahia) Diagnostic Centers, scheduled for commissioning in the first half of 2019. March 1, 2019: Commencement of National Action Plan 4.0, which will run from March 1 to April 29, 2019. This was accompanied by the launch, on March 15, 2019, of the reportgov.ng Website and App to enable the Presidential Enabling Business Environment Council (PEBEC) / Enabling Business Environment Secretariat (EBES) obtain feedback from citizens. NAP 4.0 will run from the 1st of March to the 29th of April, 2019. It aims to deepen the reforms delivered over the past 3 years and drive institutionalization. Creation of National Collateral Registry (NCR) to support the use of movable assets (SMEs can now use movable assets as collateral for loans such as motor vehicles, machinery, inventory, even jewelry). Establishment of a National Trading Platform for Nigeria’s Ports: a unified digital platform through which all imports and exports happen. March 28, 2019: President Buhari launched a new Pension Scheme that allows the self-employed and persons working in organisations with less than 3 employees to save for the provision of pension at retirement or incapacitation. It is a voluntary, self-saving scheme available only to those not currently participating in the existing mandatory Contributory Pension Scheme. To formally flag off commencement of the Scheme, President Buhari supervised the registration of Sagir Shawai, a Motor Tricycle operator in the FCT, and presented his enrolment certificate to him. Energizing Economies and Energizing Education programmes, taking clean and sustainable electricity to markets and University campuses across the country. In February 2019, Nigeria formally launched its first ever on-grid solar power project, in Torankawa community in Yabo LGA of Sokoto State. The solar plant provides uninterrupted electricity supply to 350 households in the community. For about five years before the completion of this project the community was cut off from the grid. The National Bureau of Statistics released figures for Q4 2018 economic growth: 2.38 percent; and for the Full Year 2018: 1.93 percent – more than double the Full Year 2017 growth rate of 0.82 percent. This growth in Q4 2018, as well as for the Full Year, owed a great deal to the performance of the non-oil sector. The non-oil sector grew at 2.7% in Q4 2018 versus 1.14% in the oil sector. The non-oil sector recorded its strongest growth since the Q4 2015. (The non-oil sector also grew by 2% in Full Year 2018, considerably better than its 0.47% growth in the whole of 2017). There has been a sustained accretion to External Reserves from $23.81 billion in September 2016 to $44 billion as of end-March, 2019. Manufacturing Purchasing Managers’ Index (PMI) in the month of March 2019 stood at 57.4 index points, indicating expansion in the manufacturing sector for the 24th consecutive month. Inflation Rate has been trending downwards from 18.55% as at December 2016 to 15.37% in December 2017, 11.44% in December 2018 (below the ERGP target of 12.42% for 2018) and further to 11.31% in February 2019.